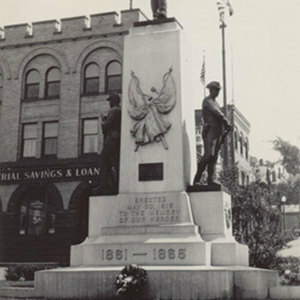 In 1915, the central figures of two Civil War soliders were dedicated in the town square, with a globe with an eagle on top. 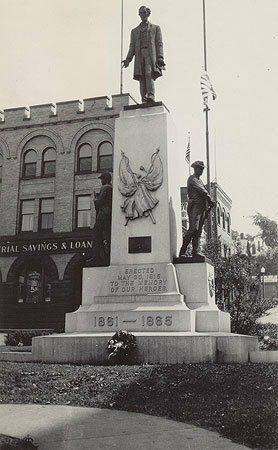 In 1924, Cleveland Sculptor Steven A. Rebeck's Abraham Lincoln replaced the globe and eagle along with two additional monuments several feet adjacent and on either side of this original: one a life-size image of a Spanish American War Soldier and a second of WWI. Sometime after 1924 the entire group was moved to a current Memorial Park several blocks from the town square. 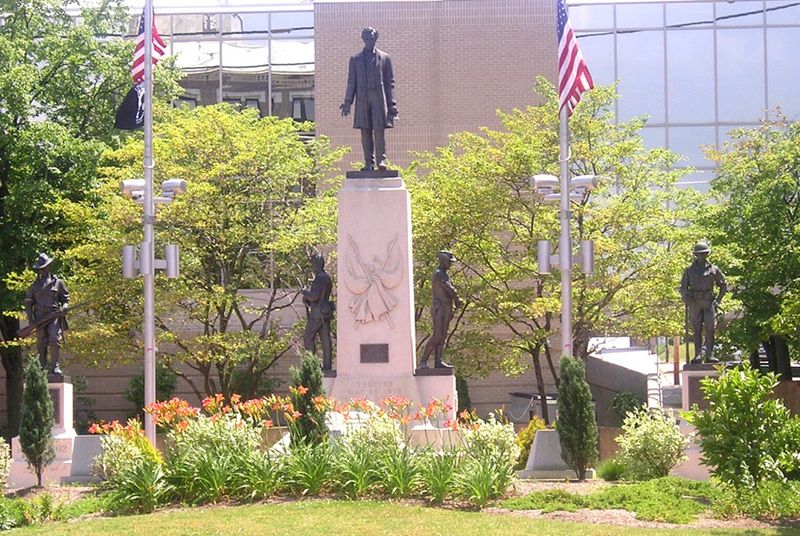 : Steven A. Rebeck, “Alliance War Monuments,” Ohio Outdoor Sculpture Inventory, accessed April 22, 2019, http://oosi.sculpturecenter.org/items/show/988.